Hot Natured are set to release one of the most hotly anticipated singles of the year, "Benediction" on 29th October through Hot Creations. 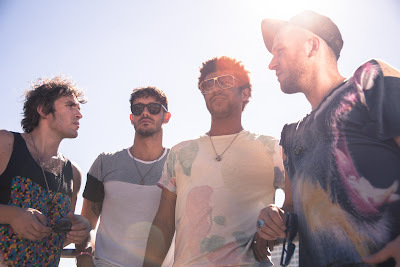 Hot Natured’s last single ‘Forward Motion’ was the seductive summer anthem of 2011. Since then the founding members of Hot Natured, Jamie Jones and Lee Foss, have been joined by Ali Love and Luca C (from the duo Infinity Ink). The quartet have been locked away in writing sessions in Los Angeles, London and Ibiza, with an album planned for spring 2013. "Benediction" is the first track to emerge from this album but the seeds were sown almost 10 year ago when Ali first created the main chords and concept. Today that idea has germinated into Hot Natured’s lead single. It features vocalist Ali Love’s trademark smooth and infectious tones, driven by melodic keys and that trademark deep, haunting bounce. ‘Benediction’ showcases Hot Natured’s collective songwriting and top-of-their-game production skills to full, potent effect. First heard on Jamie and Seth Troxler’s recent takeover for Pete Tong on Radio 1 and played at Hot Creations’ night Paradise at DC10 in Ibiza all summer, ‘Benediction’ is an irresistible and infectious crossover hit. It demonstrates exactly why Hot Natured and their Hot Creations label have become the go-to names for unrivalled disco-tinged, addictive house music with ‘quality’ stamped all over it.